Syed Amjad Ali on Twitter: "Is Mobile Learning An Ideal Solution To Train Your Sales Team On The Field? #Swiftelearning #HTML5 #InstructionalDesigning #MLearning https://t.co/025loZgrJg… https://t.co/U52kFqsdXk"
Syed Amjad Ali on Twitter: "A Case Study on How Gamification Can Supercharge Your Online Training #Swiftelearning #Gamification #InstructionalDesigning #eLearning https://t.co/Fz0wz45u8S… https://t.co/USUCdaA4AQ"
Syed Amjad Ali on Twitter: "What’s New in Articulate Storyline 360? #Swiftelearning #eLearning #HTML5 #ArticulateStoryline360 https://t.co/5TVKmVycwQ… https://t.co/v0p8IdyjaM"
Syed Amjad Ali on Twitter: "Create A Better Learning Experience by Converting PDFs into E-Learning Modules #Swiftelearning #elearningmodules #eLearning https://t.co/pR1jT0U9pa… https://t.co/spmfYF870I"
Syed Amjad Ali on Twitter: "Top 4 Benefits of Elearning Over Instructor-Led Training #Swiftelearning #CorporateLearning #eLearning #MLearning https://t.co/yGBTzXCbdn… https://t.co/uxSYKavcFb"
Syed Amjad Ali on Twitter: "Articulate 360 – Initial Product Review #Swiftelearning #AuthoringTools #HTML5 #Articulate360 https://t.co/prRBZowITb… https://t.co/LX2eYpU7XN"
Syed Amjad Ali on Twitter: "New Features in Lectora 17 to Enhance Custom Rapid Elearning Development #Swiftelearning #eLearning #HTML5 #Lectora17 https://t.co/b7L3bIYL66… https://t.co/8gMkCIhsRV"
Syed Amjad Ali on Twitter: "Conversion of Legacy Storyline Courses to Articulate Storyline 360 #Swiftelearning #ArticulateStoryline360 #responsiveeLearning https://t.co/1CpyODLxzH… https://t.co/1ScH3Arj5R"
Syed Amjad Ali on Twitter: "Why Microlearning can be the Best Strategy for Sales Training? #Swiftelearning #Microlearning #MobileLearning https://t.co/7e00ugPx9o… https://t.co/9XxGa8XZv2"
Syed Amjad Ali on Twitter: "Lectora 17 Review Enhanced Features Rapid Elearning Part 2-2 #Swiftelearning #RapidElearning #Lectora17 #Mlearning https://t.co/gjR4iOD15b… https://t.co/aseHnBlvVd"
Syed Amjad Ali on Twitter: "A Case Study on How Gamification Can Supercharge Your Online Training #Swiftelearning #Gamification #InstructionalDesigning #eLearning https://t.co/Fz0wz45u8S… https://t.co/tNEPPqvQxB"
Syed Amjad Ali on Twitter: "What’s New in Articulate Storyline 360? 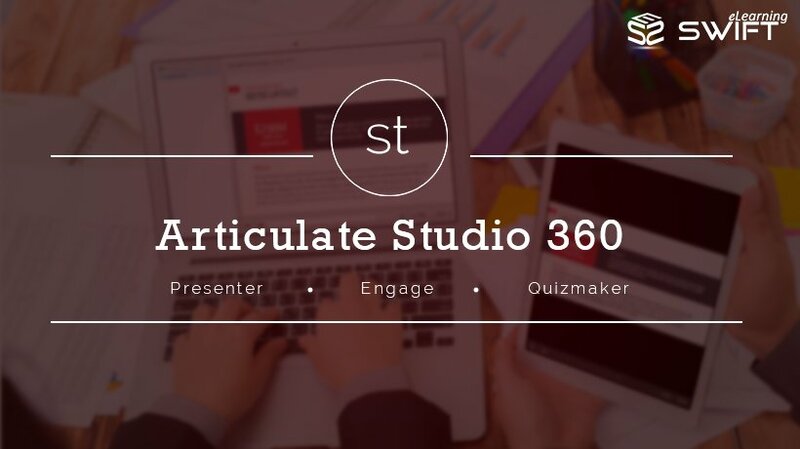 #Swiftelearning #eLearning #HTML5 #ArticulateStoryline360 https://t.co/5TVKmVycwQ… https://t.co/nu0XkJaeon"
Syed Amjad Ali on Twitter: "What is the Rationale of using eLearning in Business Application Training? #Swiftelearning #eLearning #Microlearning #LMS https://t.co/DFpWqEYiaW… https://t.co/7tRoJnhGFS"
Syed Amjad Ali on Twitter: "Create A Better Learning Experience by Converting PDFs into E-Learning Modules #Swiftelearning #elearningmodules #eLearning https://t.co/pR1jT0U9pa… https://t.co/SAuTPQY6NV"